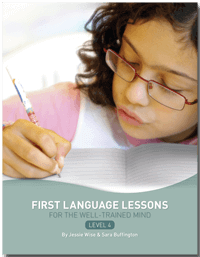 First Language Lessons is an easy-to-use four-year grammar curriculum for the early elementary years. 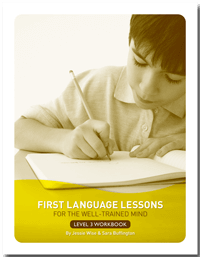 With it, you can give your child a strong foundation in clear communication and skills necessary for good writing. 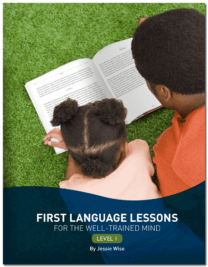 Topics covered include: punctuation, parts of speech, capitalization, contractions, dictionary usage, letter-writing, and sentence diagramming. 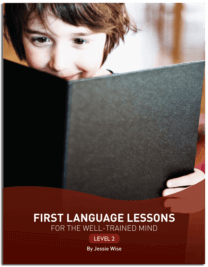 Not a natural teacher? No worries. 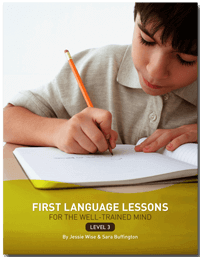 The curriculum is completely scripted…we teach you how to carry on a learning dialogue with your student. Just follow along. 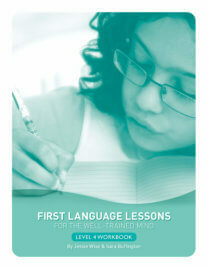 Level 1 and Level 2 are primarily oral and have only one simple paperback teacher’s book each. 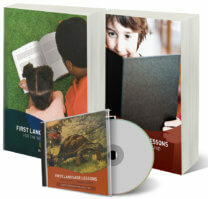 Levels 3 and 4 introduce diagramming and require both a teacher book and a student workbook. 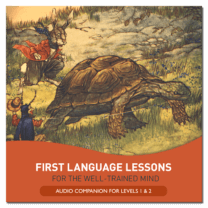 To help your child learn the parts of speech, poem memorization, and more, pick up our optional Audio Companion. But watch out—those songs and rhymes are very catchy. You may find yourself humming them non-stop!